Who doesn’t know about social media? Almost everybody in this time and age use Facebook, Instagram, Twitter and other social networking sites. And just because of that it has been considered both a tool and place to conduct business. Where else can you you easily market your stuff? In this article, we will be discussing about social media plans. We will get to know what it is, the reasons why it is needed, tips for making a plan that works and many more. 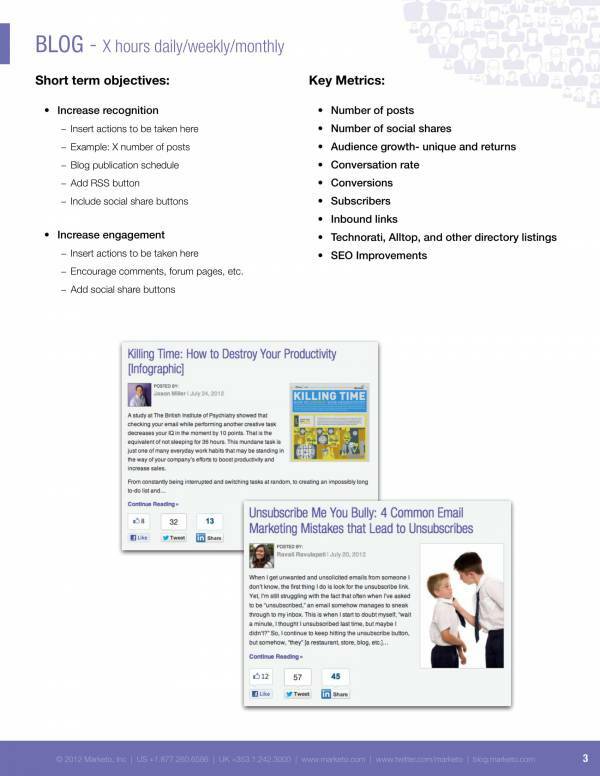 You may also check out the social media plan templates and samples that we have put up in this article. When you think of social media, you first think of the social networking sites where you have an account created and visit regularly. There is Facebook, Twitter, Instagram, Weibo, Ravelry, Goodreads, LiveJournal and the list goes on. There is an unimaginable number of social media networking sites out there that actually exist with millions of users from all over the world. This is just one of the reasons why business has leveled up and invaded these areas as well. 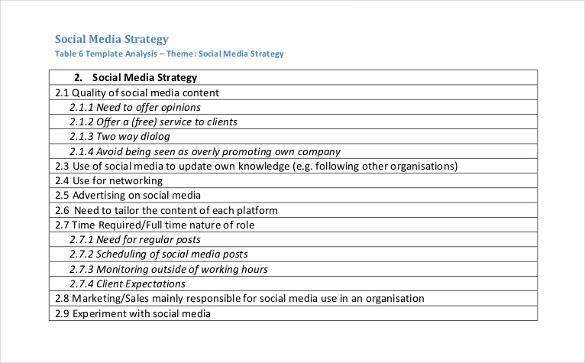 A social media plan is a plan that is specifically intended to create document that summarizes everything that an entity or individual wants to do and hopes to achieve on social media. Well. it doesn’t really have to be a business entity, but it it is most likely used for business purposes. A social media plan would not exist if it wasn’t useful and to really know and understand what it is, knowing what its uses are is the best thing to do. 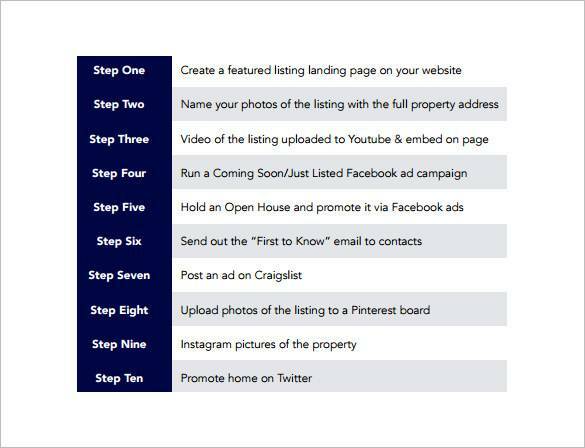 Having a social media plan guides your social media actions and helps you determine if you are succeeding or failing with the set of actions you that you have taken. There is a purpose to everything you do on social media, like the things you like and post, the individuals or entities you follow, etc. Helps in the planning of social activities, how and where they should be communicated and who should be made aware of these activities. 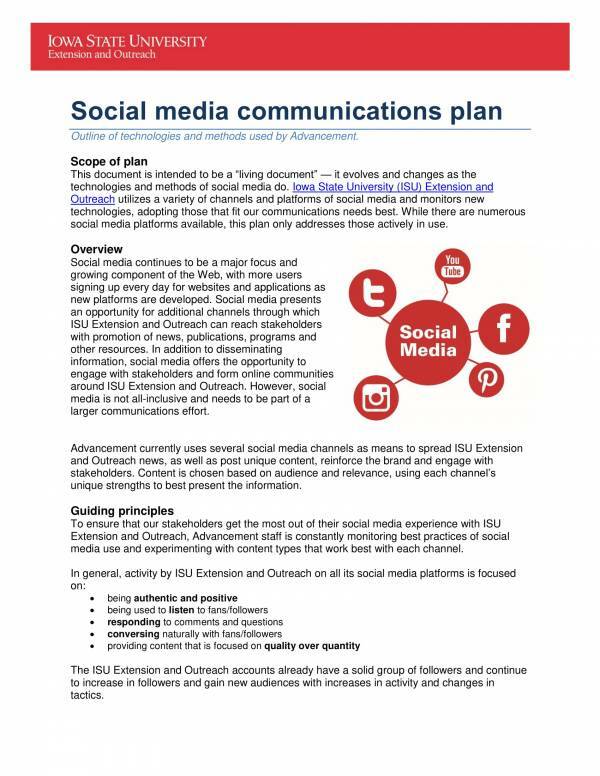 A plan lays out the details on daily social media activities that must be done to achieve specific goals and objectives. 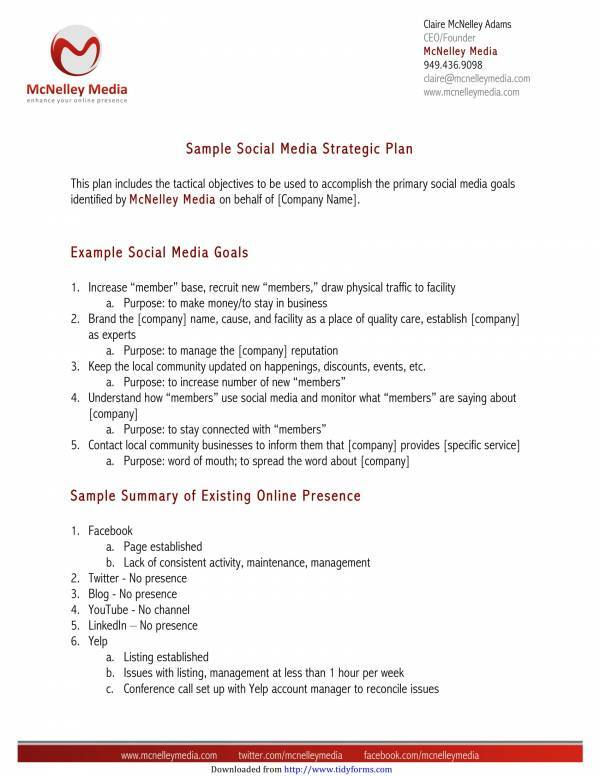 Because of the emerging need and demand for social media planning, social media plan templates have been made available. This is to help in quickly and easily create a social media plan that is effective and useful. Also check out other plan related topics and templates, like Sample Social Media Marketing Plans, Strategic Marketing Plan Template, and Operational Plan for Restaurant. They are available on our website. 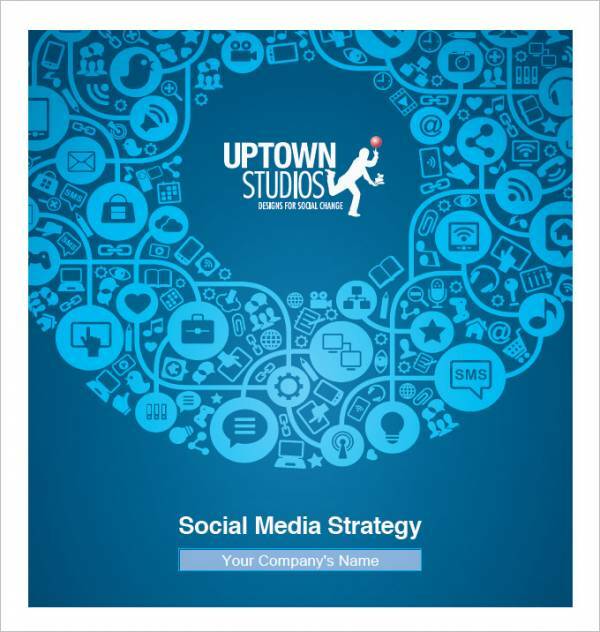 You need to create a strategy for every plan you come up with and a social media plan is one of those that needs one. We know that you are going to ask why, so we have prepared a list of reasons that will help you understand. Social media usage is still growing and it’s still growing fast. You wouldn’t want to get behind just because you do not want to get involved with anything about social media. That would be a grave mistake to make. With faster internet speed and more accessible internet connections, social media users can now access social networking sites on their mobile devices and on computers. And with more technological advancement on the way, it’s such an endless possibility. When people see new products and want to make sure that it’s worth their money, they rely on online reviews and feedback. 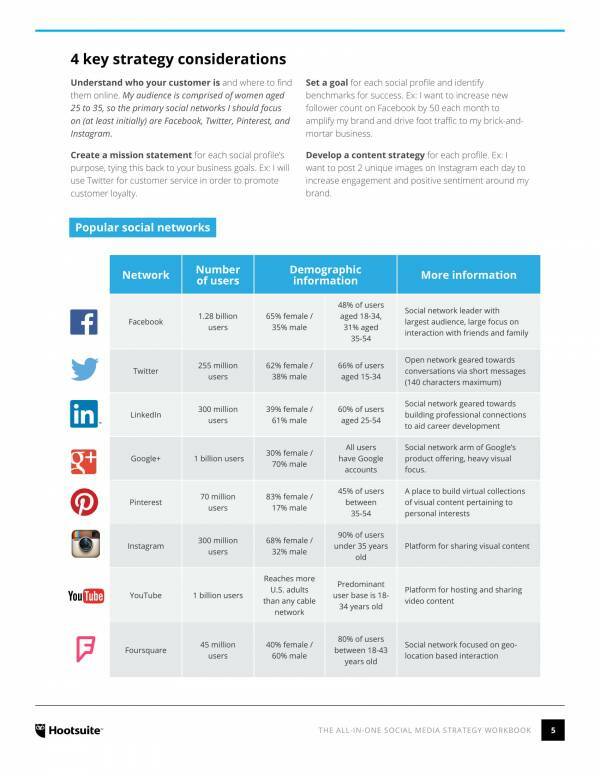 This just shows that purchasing decisions and even purchasing power is influenced by social media. A business with really good reviews would be able to increase their sales as people are aware of how good they are. Who doesn’t use the internet and social media? Just a few, but there are a lot of people who use it. These people who are always active on social media are your potential customers, or they could be your existing customers who would love to hear from your business and new things you are offering. In every social networking site, there will be key influencers you may be using your product or giving reviews about it. Using good reviews to your advantage will benefit you and finding out the reason behind bad reviews will also help you make things better. Most importantly, if you do not have any strategies, your competitors may be the one to take advantage of a lot of things. Even outside business, you surely would not want your competitors to gain advantage or take the lead. So plan and strategize. You may also check out other related articles, like Diet Plan Templates, Security Operational Plan Samples & Templates, and Social Media Strategy Samples & Templates. 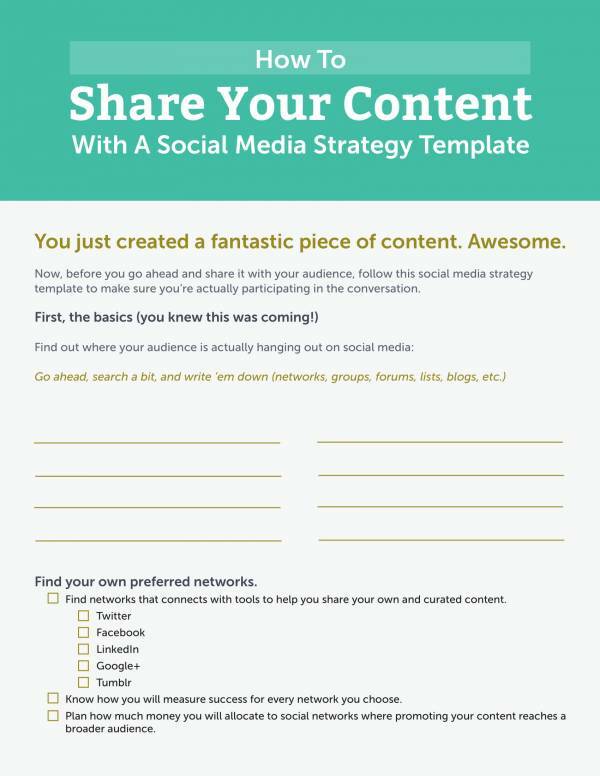 What Are the Advantages of Social Media Plan Templates? 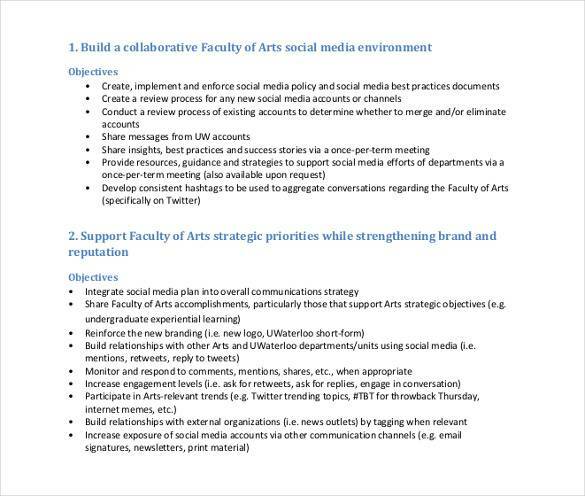 Ease and convenience in doing tasks, such as creating a social media plan. To be able to complete the document you just need to fill in the essential information. This allows you to save time, brainpower and resources as recreating the document is no longer necessary. Just pull up the template and you’re good to go. You can guarantee that it is complete and reliable as these templates are made by professionals and used by a lot of people. Templates are available online for download. You may use them for personal reasons. The best part is you only need to spend a little to none at all. Tasks are not only completed easily but they are also done quickly allowing you more time for other task. You just can’t doubt the usefulness of templates. 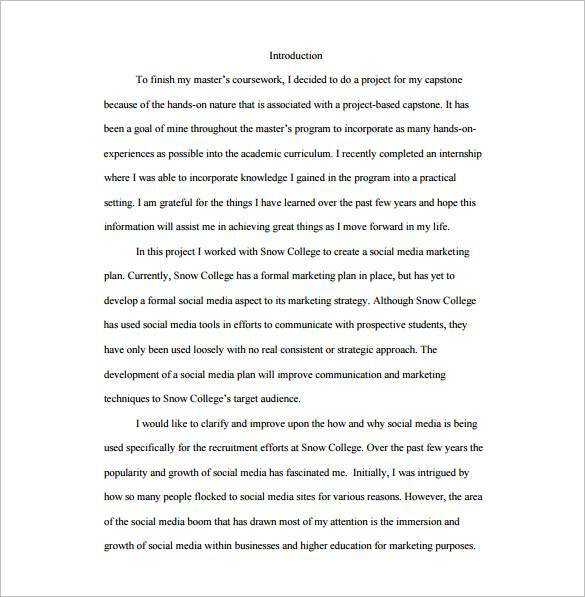 You can get downloadable templates in articles, like Social Media Marketing Proposal Samples & Templates and Business Plan Templates in Word. How can you make your plan work? Check out the tips below to find out how. If you are making a marketing plan, it’s best to identify your target market and then document details that are related and that will help your business. In social media, make your presence known or visible and audit it regularly as well. Do you have a social media mission statement? If not, why not create one to let your potential customers know what you do and what you want to achieve. Check if there are any needed or required metrics for your plan as well as standards that you need to compare it to. A plan that can be measured can be be improved and that is what you want to do. Make the content of your plan engaging. Write it in a way that your audience will get attracted to it. We hope that you are able to learn about social media plans in this article. If you want to check out other plan related stuff then articles, like Personal Development Plan Templates and 100 Day Plan Templates may be useful to you.